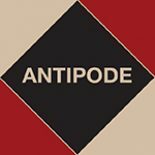 Antipode has long been committed to not only printing papers, but also stimulating and aiding radical research with the funds at its disposal (see Antipode 2:1, 1970), and we’ve been awarding the Graduate Student Scholarship since 2000. The 2012-13 GSS, however, was the last: the Antipode Foundation will be focussing on the International Workshop and Scholar-Activist Project Awards and the Institute for the Geographies of Justice in the coming years, and, to be sure, will also continue its support of the International Conference of Critical Geography by funding travel bursaries for graduate students, early-career researchers and independent scholars. You can see the great work the GSS has supported over the years, and where our Scholars are today, here. About the Scholarship. The Foundation sought to support a new generation of radical geographers with Graduate Student Scholarships. These awards of US$2,500 and a three-year subscription to Antipode were offered to current doctoral students working in any field of radical geographical scholarship (they could have been based in sociology or anthropology departments, for example, but their research was focused on matters of intellectual and political concern to radical geographers). One was awarded each year in the form of an individual grant, and the funds were intended to provide resources to attend an international conference and cover additional research expenses. Applicants described the form and content of their doctoral research – work undertaken thus far, preliminary findings, expected contributions to radical geography, our understanding of the world around us, and progressive social change – and explained how attending an international conference and further investigation would advance it. Applications were especially encouraged from the developing world and/or from those traditionally marginalised in the academy, and those who had already received a Scholarship were not eligible to apply for another. The Scholarship enabled new voices to be heard at international meetings of scholars and offered funds to allow doctoral students to pursue emerging, often unanticipated issues in their research. Scholarship winners were announced on the Foundation’s website and they had an opportunity to introduce their research there in a short video. A summary of their doctoral research was published in Antipode also (the online version of the essay was made open access).